The Call of Duty franchise, mainly made famous with COD4 from Infinity Ward and Activision, has evolved over the years into a pretty good FPS game. It's current edition, Modern Warfare 3, or MW3, is still wildly popular despite the upcoming November launch of "Ghosts" . 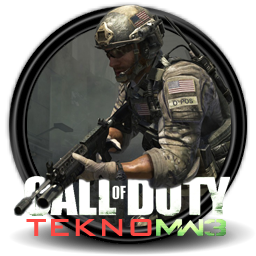 I've recently got back into playing MW3 on PC, and discovered the very successful TeknoMW3 mod, which gives you the ability to play MW3 on local LAN connections (U*** LANs ) and direct servers and so on. TeknoMW3 patches directly over your game files and has an...attractive...launcher If you're keen on giving TeknoMW3 mod a go, grab the download files here. You'll also need WinRAR to deal with what you're downloading. You'll be asked to overwrite the files. Do so, but make a backup of your game directory just in case. Once the files overwrite, run "TeknoMW3.exe"
Choose Multiplayer>(Online/LAN) for playing the game against players on the internet or when JOINING a dedicated server on the LAN. In the game, click "Servers" and you'll see a list of servers on the Net. Use the LAN tab if you want to play locally. This is a very quick guide. For info on server configuration, how to configure your firewall, and other technical details on getting TeknoMW3 to work, post a question in this thread and we'll help you out. Finally a contender to Far Cry 2 ! DieLyn wrote: Finally a contender to Far Cry 2 !